Are you on a mission to find the most active and fitness worthy VR games for Windows Mixed Reality? Look no further, we’ve compiled a helpful list of active titles that are sure to make your heart rate turn up the heat on calorie and fat burn or to help you simply get up off the couch. Are you new to VR or are a die-hard gym rat looking to shake up your workout routine? There are games that anyone from any level of fitness can use to target specific muscle groups, to build up cardio and endurance, or to get a full body workout. If you’re a fit gamer that’s looking to elevate your level of fitness try on a weighted vest to amp up calorie burn and add resistance while in VR. 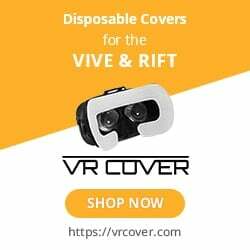 Get your VR cover on that WMR headset, get your controllers ready, and your sweatband on. Let’s dive in! This is a high-energy and fat blasting boxing workout for VR that you can’t miss out on. Use BOXVR as a warm-up, for cardio, for stamina, and for cool-downs. This game will have you jab, hook, uppercut, and then do combinations of each for a well rounded upper body workout. Players will also get a lower body workout when they squat and side lunge to avoid obstacles. BOXVR can be used with mp3 and Itunes files and workouts get changed frequently by fitness experts! Credit to: Grab Games/Knockout League! Step inside Doug Johnson’s boxing gym and get training with the tutorials, speed bag, mitts, and Reflex Alley stamina workouts. Knockout League is a cartoon boxer that packs a punch when it comes to fitness. This is a dominant upper body game because of punches and training, but with this training also comes a great lower body workout. In Reflex Alley and in KOL boxing matches, players have to dodge or duck away from dumbbells or wind up punches. The VR Institute gives this game an intensity rating of Rowing. Become a virtual Jedi warrior with Beat Saber, a rhythm and coordination game that equips players with bright neon blue and red lightsabers. Use quick reactions and test your upper body limits by hitting red and blue directional cubes as they come down the platform. Move side to side and even duck to avoid oncoming obstacles and to put a torch behind your leg day routine. Gamers of all fitness levels from newbie couch potato to expert bodybuilder can find a song they like to work out to with Beat Saber. Use your own music files, stream it, or listen to tunes set up by Audioshield as you block red and blue orbs. Blocking these orbs is going to be a good upper body workout that’s going to get harder as you progress or as the music gets faster. Players stand on a platform to perform these blocks so if you want a leg day game you’ll have to do your own squats or side steps in between beats. This game is as intense as Rowing when tested by the VR Institute. Built with osu! maps in mind, Holodance is a move to the beat rhythm VR game that will have you spinning beats, hitting them, and then holding onto notes. Dance as you touch beats and increase your score by using your hands and even your head for lower orb notes. Get low and use your quads to reach the lowest notes for lower body fitness. Coordination is huge with this game but you’ll have fun playing it with your own music, so time will pass quickly. The Elder Scrolls V: Skyrim isn’t a fitness game on purpose, the game’s players have cleverly used it’s free motion control system to run or jog while playing. Skyrim is a fun room scale game that can be great for the upper and lower body during combat scenes and as you run from town to town. Using a sword/shield and bow/arrow for weapons will keep your upper body active while you take on dragons and armored fellows. In the godless afterlife, or In Death, it’s just you and some hooded monks and shielded knights that you’ve got to fling arrows at to crawl your way through a castle. Use your block with the coordination and upper body agility to keep flinging those arrows. Hide around corners and duck to keep your head. Use your arrow to teleport or crystal shard to dash, or use room scale movement to actually use your legs. If you like the play style and aesthetic of Dark Souls you’ll love In Death. Slow down time by making slow and precise movements, then dial up the pressure in real time with every quick movement. Superhot VR is a punch and steal weapons game that pits you against red polygonal challengers who are all making moves to kill you before you kill them. Punch, shoot, slice katanas, and throw shuriken throwing stars for a slow-mo workout that’s going to make any fit star’s muscles start to tremble and shake. Most importantly dodge bullets flying past you and take no damage by mentally remembering which movements will get the kill the fastest. The VR Institute gives Superhot a rating that’s comparable to Walking, but we’d argue it’s more than that. Go through wizard’s training and then move into the arena mode for a magical workout in The Wizards. Cast spells, play archer, and defend and fight as a wise but athletic wizard with upper body motions that look a lot like tossing a basketball or pitching a baseball. In the arena, there will be waves of beefy towering ogres and other dungeon dwellers to attack with magic and projectile damage. Move around and avoid physical attacks by dodging in room scale. Is playing a soccer goalie your idea of a full body workout? Goalkeep VR will have you train and get soccer balls thrown at you from different heights, speeds, and locations. Train your upper body, core, and lower body by playing Increasing Speed, Endurance, Two Balls, Bullet, and other modes. Having a goalie stance will protect your back when you tighten your abs and hold an upright posture. Put on boundary or guardian lines so you don’t get tempted to leap into your TV. The VR Institute of Health and Exercise is a workout that is equivalent to Elliptical training. Exercise and push your reaction times into overdrive as you play Racket NX, a virtual racquetball session that looks straight out of sci-fi. There’s an illuminated polygonal backboard that single and multiplayers strike with a ball for combo points. Get a good upper body workout from hitting the ball quickly or slow things down by hitting softer. Move in room scale and pivot around to follow the ball as it moves and to engage the core and lower body. Racket NX has been compared to working out on an Elliptical by the VR Institute. Next articleWhich Fitness Tracker Is Best For VR Workouts?